Nutrigenomics. Holy Cat! You Really Are What You Eat! Nutrigenomics is a field of study that combines nutrition and genetics with the goal of using nutrition to prevent chronic diseases. Scientists completed the mapping of the human genome in 2003, and have since discovered that what you eat can influence your genes! between diet (energy going in) and exercise (energy going out). Some eat too little in either variety or quantity leading to malnutrition and some eat too much leading to obesity. In 2004, Hill’s Pet Nutrition brought together the building, lab equipment and scientific expertise to begin a Nutrigenomics Research Program. Findings from the Nutrigenomics lab at the Pet Nutrition Center help Hill’s understand how nutrients and ingredients in pet foods interact with genes, proteins and metabolites in the body. The next step is to understand how to capture these interactions for the benefit of a cat or dog’s health. Hill’s Nutrigenomics research program provides the scientists with a better understanding of disease and aging. 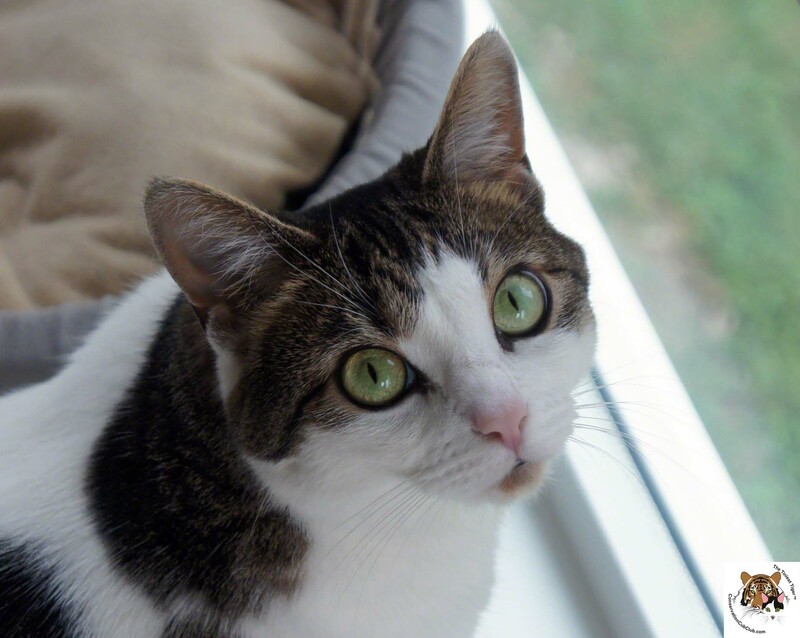 This research enables the scientists to identify the specific nutrients that return these processes to a healthy state, so that they can develop new formulas that help improve a cat’s quality of life. It is true that nothing in food can change the genes that you are born with, but nutrition can influence how those genes function. The research in progress at Hill’s has given them an exceptional understanding of the molecular basis of disease and health, the biochemical response to food, and the biochemical action of nutrients. Pet Food Labels: What you need to know. This is Thinking Gracey. When you see this image, you might want a "thinking beverage" and/or a nap before, during or after reading. invited to Hill’s Pet Nutrition to learn about Hill’s Pet Food Brands including Hill’s Science Diet® and Hill’s Prescription Diet® formulas. We also learned about some exciting new products that we will talk about in a future post. But before we talk about the pet food formulas, I thought we could take a moment to talk about the pet food label, and what we need to know about the information that is printed on the label. Here are some answers to questions you have asked. 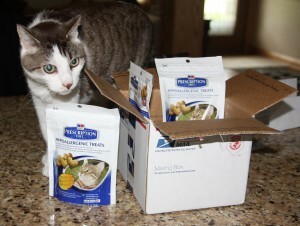 Who decides the nutritional standards for pet foods in the United States? AAFCO stands for Association of American Feed Control Officials. This is the organization that determines the nutritional standards for pet foods sold in the United States. These same standards are recognized in Canada. What methods are used to determine nutritional adequacy? Hill’s Prescription Diet Hypoallergenic Treats! Hurrah! Friends, as many of you know, I eat a steady diet of Hill’s Prescription Diet z/d® Low Allergen Feline . This is because I have food allergies that caused me to break out in a hive like condition. Sometimes I even lost bits of my fur when I got these hives. Thanks to my doctors at the Morris Veterinary Clinic for knowing that I needed to switch out my food for the low allergen chow. I have gotten along great ever since we made the change. Now , this is not to say that I don’t pout from time to time because I want a snack. Sometimes I feel sorry for myself when I see treats in the grocery sacks for my cousin Mercy. But now, my Friends, I too can enjoy a Treat because Hill’s Prescription Diet has introduced Hypoallergenic Treats. Hurrah! My parents ordered some for me from Discount Pet Drugs & Supplies The Treats were offered at a good price $3.86 per bag and the shipping was only $4.95 for the five bags we ordered. The package was delivered to my door by Phil the Mailman within a few days. Here is the best part! They are delicious! I really like them. They are shaped like hearts and just the right size for optimal crunching. I could eat the whole bag at one time. But those doctors at Hill’s had to go and put a portion control statement on the package. 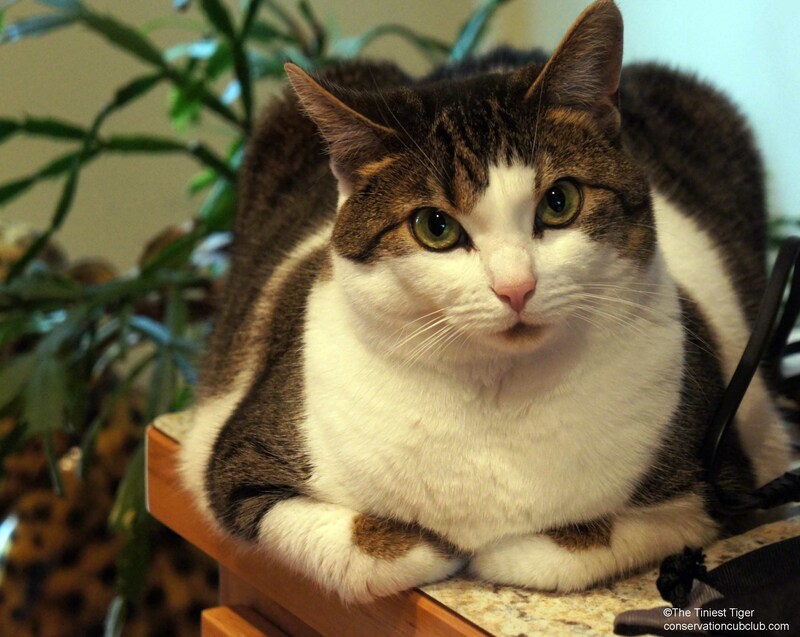 Do not feed more than the maximum number of treats per day listed below, based on the cat’s ideal body weight. If the cat tends to gain weight when supplementing with Prescription Diet® Hypoallergenic Treats, adjust as needed to maintain proper body weight. So for me, I can chomp about 13 Treats a day, because I weigh about 10 lbs. I wonder if I can gain a little weight so I can chomp some more per day. I can also try to trick my dad into giving me treats by pretending that my mom didn’t give me any all day. 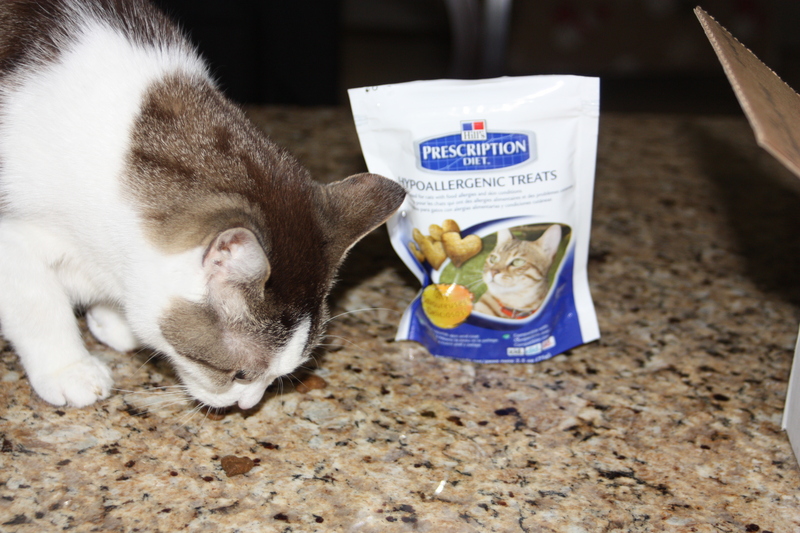 So for my Fellow Felines that are also on a low allergen diet! Chomp on! We too can enjoy some tasty treats! Thank you Hill’s Prescription Diet! This product review is my own opinion. This review was not sponsored by Hill’s.